"Sampath Speaking" - the thoughts of an Insurer from Thiruvallikkeni: what connects Mehul Choksi and Andy Roberts ..
Any reference to Test No. 752 will flood memories of that classy knock of Gundappa Viswanath - great bowling of Andy Roberts and the defeat (100 runs at that) suffered by Clive Lloyd against Pataudi led Indians in 1975. Those days Pongal tests were great festivities and tension would build up couple of days before the match – India opening with Eknath Solkar and FArokh Engineer – lost both and were 24/2; Gaekwad went cheaply, so did MAK Pataudi; (41/4); Ashok Mankad hooked Roberts - at 76/6 Mankad and Madanlal too gone, Vishy had only the tail – whether it was Andy Roberts 20.5-5-64-7 or the fluent 97 n.o. of Vishy that was brilliant will be an endless debate. Roberts was to take another 57/5 in the second innings too. Years later, after India won the WC 1983, WI dominated India in series in India – the final test at Chepauk meandered into a draw – Sunil Manohar Gavaskar remained unbeaten on 236 becoming the first batsman from any country to get three double hundreds against the West Indies. Mehul Chinubhai Choksi, is the owner of Gitanjali Group, a retail jewellery company with 4,000 stores in India. He has been in news for wrong reasons – and an arrest warrant for Choksi has been issued in connection with the alleged Punjab National Bank fraud case. He was allegedly involved in stock market manipulation in 2013. Mehul Choksi - the main accused in Rs. 11,300 crore bank fraud along with his nephew Nirav Modi -- was known as "Pappu" among diamond traders. The man, who started as a trader in Mumbai, went on to own 22 companies and became a regular in Bollywood circuit - unusual for diamond merchants, who prefer to keep a low profile. Insiders say he threw grand parties and gave expensive gifts to buy favours. His style was to sign retainership agreements with families and close acquaintances of people in power, says one publication. As the investigation into the case broadens, probe agencies are now focusing on the directors of Mehul Choksi's multi-crore companies. The First Information Report filed by the Central Bureau of Investigation names 10 directors of his companies, accused of fraud to the tune of ₹4800 crore.But the officials say they found that most of these top executives live in slums and decrepit buildings, which suggests that they are just fronts for Mehul Choksi's businesses. Antigua and Barbuda is a sovereign state in the West Indies in the Americas, lying between the Caribbean Sea and the Atlantic Ocean. It consists of two major islands, Antigua and Barbuda, and a number of smaller islands (including Great Bird, Green, Guiana, Long, Maiden and York Islands and further south, the island of Redonda). Its capital and largest port is St. John's, on Antigua.Antigua and Barbuda are in the middle of the Leeward Islands, part of the Lesser Antilles. The country's name was given by Christopher Columbus in 1493 after discovering the island. This place is nicknamed "Land of 365 Beaches" due to the many beaches surrounding the islands. Its governance, language, and culture have all been strongly influenced by the British Empire, of which the country was formerly a part, gaining sovereignty on 1 November 1981. It remains a member of the Commonwealth and Queen Elizabeth II is the head of state. The Antigua and Barbuda national cricket team represented the country at the 1998 Commonwealth Games, but Antiguan cricketers otherwise play for the Leeward Islands cricket team in domestic matches and the West Indies cricket team internationally. During 2007 World cup, Antigua hosted eight matches at the Sir Vivian Richards Stadium. 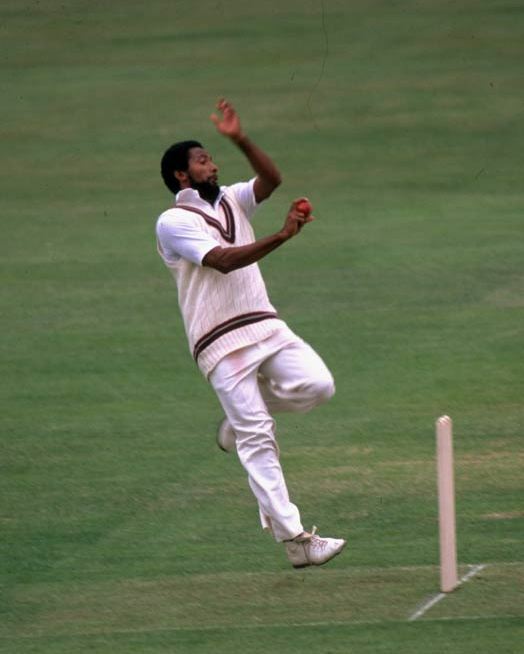 Sir Anderson Montgomery Everton Roberts, (simply Andy Roberts) is from Antigua – bowled fast and used to deliver 2 different bouncers with similar action. He led the famous pace quartet, twice taking seven wickets in a Test innings. In England, he played first-class cricket for Hampshire County Cricket Club and Leicestershire County Cricket Club.Roberts was the first Antiguan to play Test cricket for the West Indies, thus leading the way for many of his famous countrymen including Viv Richards, Richie Richardson and Curtly Ambrose. The news of Antigua and Barbuda granting citizenship to absconding Indian businessman Mehul Choksi has snowballed into a political controversy with opposition parties in the Caribbean nation demanding answers from PM Gaston Browne. Data analyzed by TOI showed that since 2014, 28 Indians had applied for citizenship of Antigua. Seven of them were granted Antiguan nationality between January 1and June 30, 2017, upon investment of $200,000, according to the halfyearly report of the Citizenship by Investment Unit (CIU), which comes under Antigua’s ministry of finance and corporate governance and public private partnerships. The report did not have details on the status of the other Indian applicants. Antigua , allows dual citizenship to any foreigner if he/she invests in the national development fund (NDF), purchases governmentapproved real estate or invests in a pre-approved business.TOI analyzed the six monthly report of the CIU, available on the Antigua and Barbuda government website. It showed that Indians accounted for 2.5% of citizenship requests out of 1,121 foreign nationals who sought refuge there since the inception of this programme.The list is dominated by China — with 478 Chinese(42.64%) applying for the Caribbean nation’s citizenship since 2014. Interestingly, 42 Bangladeshi nationals and 25 Pakistanis also sought Antiguan nationality in the last four years using the citizenship by investment programme (CIP). An Antiguan passport allows visafree access to 132 countries and freedom from extradition. While Choksi was granted citizenship in November 2017, the names of Indians or people of other nationalities getting citizenship were not mentioned in the report. TOI’s email to the CIU went unanswered. Government sources said they would investigate who these 28 Indians were who enjoyed dual nationality without informing the authorities.Meanwhile, Antigua-based The Daily Observer reported that opposition parties had demanded answers from the government. PS: 1. Antigua is Spanish for "ancient" and barbuda is Spanish for "bearded". Isaac Vivian Alexander Richards and Andy Roberts could be seen mostly with beards ! 2. The Chepauk test in 1983, when Gavaskar scored 236* happened to the last Test of Andy Roberts in his illustrious career.